While St. Patty's Day is generally recognized as more of an adult holiday, Easter is one that's equally special for children. The activities that surround the holiday are right up their alley. From the cute pastel bunny decorations, colorful dyed eggs, baskets filled with candy and toys, and a delicious dinner with the people you care about, what's not to love? 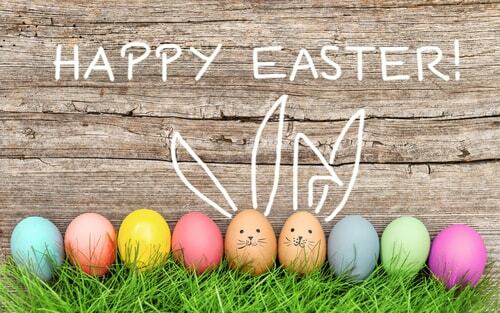 Dying Easter eggs usually kicks off the holiday season and is traditionally followed up with taking pictures with the Easter Bunny at the mall, having an Easter egg hunt, and eating all the junk your basket can hold. Forget going out to an Easter egg hunt in your town. 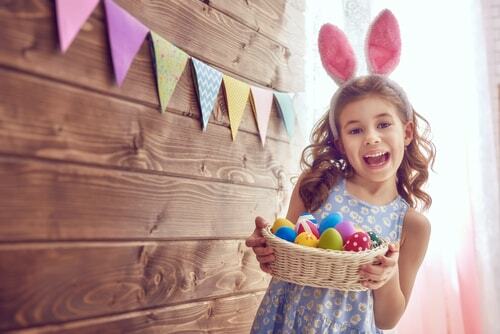 When you add up the cost of gas, the hassle of fighting the crowds and the possibility of inclement weather, the idea of hosting your very own egg hunt sounds better and better. By boiling and decorating your own eggs, the cost is minimal, and the expense of a few jelly beans to put in your plastic eggs is next to nothing. 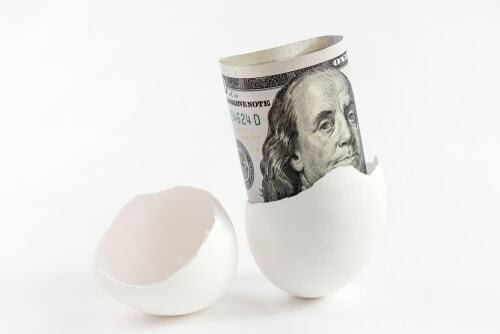 If you have money left in your budget, hide a special "Golden Egg" that earns the lucky hunter a special prize. If you are using real hard-boiled eggs, be sure to make a list to help you remember how many you made and exactly where you hid them. You don't want to be reminded of a forgotten Easter relic a few months later when your home is enveloped with that oh so wonderful smell of rotten eggs. Having dinner at your home instead of at a restaurant can save a ton of money in your Easter budget. Restaurants tend to increase their prices around most holidays, and the crowds are almost unbearable. So, just think about that for a minute. Would you rather pay for an over-priced dinner that drains your wallet, all while being surrounded by a bunch of strangers in a crowded restaurant? The answer is to host an Easter dinner party that is tastier, cheaper and much more relaxing for you and your guests? There are plenty of seasonal sales you can take advantage of at your local grocery stores, as well as the many coupons for the products needed to cook up a delicious dinner. Keep an eye open for them in the Sunday circulars in the weeks leading up to Easter. Many grocery chains offer free or deep discounts on hams if you spend a certain amount with them within a certain time period, so be sure to time your shopping to maximize your savings. If you normally prepare a feast but a family member or friend has offered to host Easter dinner this year, give your kitchen and your wallet a break and accept the invitation. It may not be what you are used to, but letting someone else take the reins could bejust the break you need. While it is nice to celebrate your traditions, sometimes a change of pace is exactly what you need to remember what is really important about the Easter holiday - celebrating with those you love. Working within a budget can feel overwhelming at times, especially when a holiday comes around or an unexpected emergency arises that throws your finances into a tailspin. When that happens, you need to act quickly and decisively, and tapping into the spending power of your next paycheck with a payday loan could be exactly what you need to get back on track. With a cash advance on your paycheck, getting fast and easy access to the funds you need has never been easier. While cutting your costs and thinking outside the box can help you stay within your budget, if you need extra help to make this Easter one to remember, don't forget the cash you need is just 30 minutes away.